We've already begun this series and have dealt with two of the four primary dogmas of the Roman Catholic Church as codified in the Seven Sacraments. We're only dealing with the first four because they are central and pertinent to all Roman Catholics and are foundational to their belief system. Thus far, we have treated Water Baptism and the Holy Confession. We will now move on to the other two primary Sacraments, those being Holy Communion or Eucharist and Holy Confirmation. Once completed we will address a couple other dogmas and then move onto the second half of this series, dealing with the Roman Catholic Church and it's role in the world as prophecy portrays in the last days, with a one world religion in conjunction with and at least initially in control of a one world government, and the many factors today that are leading us in that direction. “Transubstantiation is the teaching that during the Mass, at the consecration in the Lord's Supper (Communion), the elements of the Eucharist, bread and wine, are transformed into the actual body and blood of Jesus and that they are no longer bread and wine, but only retain their appearance of bread and wine. Because [the elements of bread and wine] are the presence of Christ himself, Catholics worship and adore [them]. 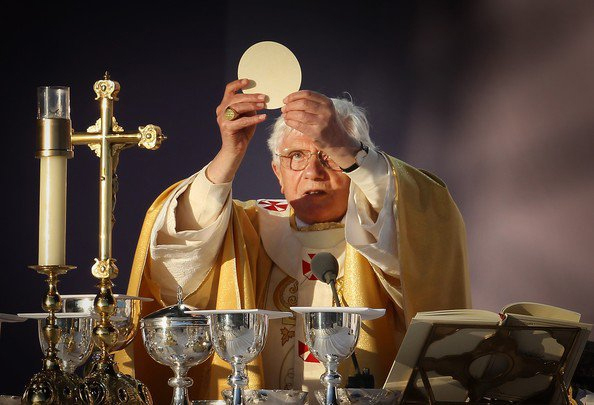 The doctrine of the real presence states that the bread and wine contain the actual presence of Christ in bodily form as a result of the process of transubstantiation. Roman Catholicism states that the incarnation of Christ itself, where Jesus was a man but contained an invisible divine nature, is analogous to the the doctrine of the real presence. Communion is necessary for the infusion of grace, and supplements towards the saving of the Roman Catholic’s soul. • Matt. 26:28, "for this is My blood of the covenant, which is poured out for many for forgiveness of sins." 63 It is the spirit that quickeneth; the flesh profiteth nothing: the words that I speak unto you, they are spirit, and they are life.He did not say they were literal words; that is, He did not say that they were His actual body and blood. "I am the bread of life," (John 6:48); “I am the Light,” (John 8:12; 9:5); “I am the Door,” (John 10: 7, 9); "I am the true vine," (John 15:1), etc. Jesus often spoke in figurative terms and in the context of Jesus telling His disciples that they must eat His body and blood, He clearly says He was speaking in spiritual terms, "...the words that I have spoken to you are spirit and are life (“the flesh profits nothing”)" (John 6:63). * - After Jesus said, "This is my blood," (Matt. 26:28), He said, "But I say to you, I will not drink of this fruit of the vine from now on until that day when I drink it new with you in My Fathers kingdom," (Matt. 26:29). Why would Jesus speak figuratively of His blood as "the fruit of the vine" if it was His literal blood? We can clearly see that Jesus was speaking figuratively. * - If the bread and wine were transubstantiated into the actual body and blood of Jesus Christ, the disciples gave no such indication that they thought so, nor did they worship the elements as Roman Catholics are taught to do, nor did they teach such things in their epistles! * - How could these elements be truly transformed when Christ in the flesh was officiating over this Last Supper? And according to Lev. 17:14 no Jew could ever eat blood of any kind! If the wine became actual blood, they wouldn’t have drank it! * - Also - The biblical doctrine of the incarnation states that the Word which was God and was with God (John 1:1), became flesh and dwelt among us (John 1:14). This "became flesh" involves what is known as the Hypostatic Union. This is the teaching that in the one person of Christ are two natures: divine and human. That is, Jesus is both God and man at the same time and He will forever be God and man. * - Incidentally there was another purpose for the Incarnation of Christ, that is, God becoming a man, according the official Roman Catholic doctrine – do you know what this other purpose is? Answer, according to the Catholic Church Catechism: so that we might become God! A Mormon-like Dogma of 'becoming gods' in the Roman Catholic Church? In the Mass, the re-enactment of the Last Supper, the host is seen as the actual body of Christ, literally sacrificed for the sins of the world again and again, every time the priest offers it up; the Mass is conducted every Sunday, and on special holy days in every Roman Catholic church all over the world, year after year. Yet the Roman Catholic in the Eucharist has a remembrance of this sacrifice of the Mass every single Sunday, year after year! Finally, because the sacrifice of Christ was once for all, it is sufficient to save us and we do not need to maintain our salvation by our efforts or by our participation in the Lord's supper. It is not a means of grace that secures our salvation or infuses into us the grace needed that then enables us to maintain our salvation by our works. Instead, we are made right before God by faith. • "being justified as a gift by His grace through the redemption which is in Christ Jesus . . . Therefore we conclude that a man is justified by faith without the deeds of the law,"" (Rom. 3:24, 28). • "For what saith the scripture? Abraham believed God, and it was counted unto him for righteousness," (Rom. 4:3). • "Therefore being justified by faith, we have peace with God through our Lord Jesus Christ," (Rom. 5:1). • "that if you confess with your mouth Jesus as Lord, and believe in your heart that God raised Him from the dead, you shall be saved," (Rom. 10:9). Yet once again, no such ceremony, practice or belief is demonstrated in Scripture that reveals such a tradition as necessary for the believer. The Baptism of the Holy Spirit always occurred at God’s initiative and never by the initiative of any officiating disciple of Christ (only in certain cases by apostles as in Acts 19: 1-6; which have no successors). The Greek word for confirmed used here is episterizo, meaning to support further, reestablish, strengthen, “confirming souls” as in Acts 14:22, and “strengthening the disciples” Acts 18: 23. In each of these cases, no endowment of the Holy Spirit by baptism is shown, but only an examination of the condition of the disciple’s faith, ascertaining their genuine belief in Jesus Christ as LORD and Savior, and once such is ascertained, these disciples were confirmed, that is, assurance is given of their salvation experience as valid and biblically sound, apart from works, ceremonies or religious participations in traditions and laws. * A One World Religion? One of the great differences between Protestant and Catholic doctrine is in the area of Tradition. 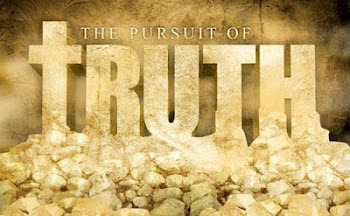 The Protestant church maintains that the Bible alone is intended by God to be the source of doctrinal truth (2 Tim. 3:16). The Catholic Church, however, says, "Sacred Tradition and Sacred Scripture make up a single sacred deposit of the Word of God . . ." (Catechism of the Catholic Church, paragraph 97. Note, all citations in this article are from this Catechism). * - "The apostles left bishops as their successors. They gave them their own position of teaching authority.'" (Par. 77). * - "This living transmission, accomplished through the Holy Spirit, is called tradition..." (Par. 78). * - "Both Scripture and Tradition must be accepted and honored with equal sentiments of devotion and reverence." (Par. 82). Yet Scripture itself warns that no one, no church or religious institution is to add anything to the completed Word of God (Deut. 12:32; Rev. 22:18). Within the Catholic scope of Tradition, many doctrines have been "revealed" to the Church over the centuries. For example, there is the veneration of Mary to her exalted position as Mother of God, Queen of Heaven (431 AD), her Immaculate Conception (1854 AD) and her bodily Assumption into heaven (1950 AD). There is also the Traditions of the apocrypha, transubstantiation, praying to saints, the confessional, penance, purgatory, and more. The Bible is for tradition where it supports the teachings of the apostles (2 Thess. 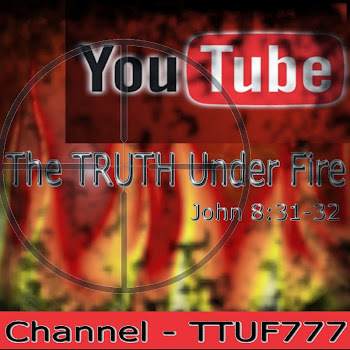 2:15) and is consistent with biblical revelation. Yet, it is against tradition when it "transgresses the commands of God" (Matt. 15:3). By Jesus' own words, tradition is not to transgress or contradict the commands of God. In other words, it should be in harmony with biblical teaching and not oppose it in any way. None of the Roman Catholic dogmas as listed above as their sacred traditions are in harmony with Scripture but contradict them. 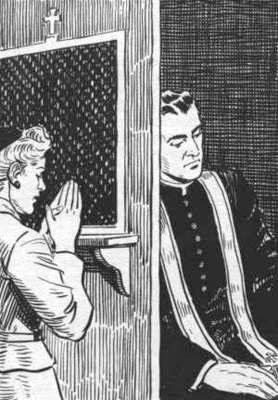 An indulgence, according to the Roman Catholic Church, is a means of remission of the temporal punishment for sins which have already been forgiven but are due to the Christian in this life and/or in purgatory. This punishment is most often in purgatory but can also be suffered in this life. An indulgence removes time needed to be spent in purgatory. There are two kinds of indulgences: partial and plenary. A partial indulgence removes part of the punishment of sins. A plenary indulgence removes all of the punishment of sins. The Second Vatican Council, p. 63, mentions purgatory as a place of punishment for our sins: "The truth has been divinely revealed that sins are followed by punishments. God's holiness and justice inflict them. Sins must be expiated. This may be done on this earth through the sorrows, miseries and trials of this life and, above all, through death. Otherwise the expiation must be made in the next life through fire and torments or purifying punishments." Indulgences only have value in Catholicism due to the unbiblical teaching of purgatory, which the Roman Catholic Church teaches is a place of punishment where people expiate their own sins there (CCC, 1475). There is no biblical basis to support the view that there really is such a place as purgatory; that such a place and such an activity wherein a Christian must suffer for themselves in order to purge their souls of sin is completely unnecessary because Jesus Christ already “purged out sins”. A WOMAN RIDES the BEAST by Dave Hunt, in book form as well as dvd; this documents the history, practices, beliefs and prophetic last days relevance that the Roman Catholic Church has and will have. You can watch this on youtube as well. Here is a link to the presentation (57 minutes, 56 secs). A DVD: CATHOLICISM: CRISIS OF FAITH - This dvd “goes to the heart of the matter, investigating the teachings of Roman Catholicism and comparing them to Scripture. Follow the spiritual journey of devout priests and nuns who courageously faced a crisis of faith and emerged with a life changing experience of Jesus Christ. (The entire dvd is on youtube). The BEREAN BEACON (not to be confused with Dave Hunt’s own web site, The BEREAN CALL) is a ministry of Richard Bennett, a former priest of the Dominican Order for 30 years. Also don’t forget C.A.R.M.’s web site: Christian Apologetics Research Ministry – go to World Religions, then click on Roman Catholicism; you will find articles and videos with a lot more information on this subject than I had the chance to share with you.